The original super naked gets even better for 2018. Reworked triple gives 10bhp extra, there's a new colour TFT display, updated electronics, new wheels and, in top spec RS form, Ohlins suspension, Arrow cans, further electronics updates, carbon goodies and more. 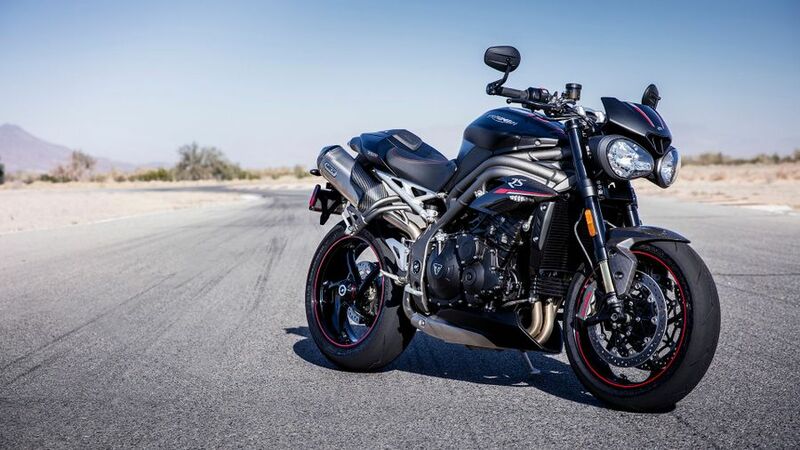 Interested in buying a Triumph Speed Triple? Despite significant changes to the engine and equipment, Triumph's latest 'Speedie' doesn't look that much different to the 2016 version, or for that matter the 2011 one. For many that's no bad thing: the Triumph triple remains the definitive super naked, particularly for the street. What is new, though, are the designations, S and top spec RS in place of S and R, a significantly uprated engine, sweet new full colour TFT clocks (suddenly the new standard), stylish new wheels and a higher spec and ability than ever. Suddenly the RS version in particular is not just the best all-rounder in the class, it's a truly class act in its own right. If the old, 138bhp Speedie (good though it was), was lacking in any department, it was outright power and associated sophisticated electronic rider aids. Both have been significantly improved this time round. Now with 148bhp due to over 200 internal engine changes, four riding modes (five in RS trim) and with the RS also boasting cornering ABS and a 3kg weight reduction, it's far, far better. On the road it's also flexible and three-cylinder characterful. On track it now also has enough to keep with the very best. It truly has the best of both worlds. Those meaty, radial, Brembo stoppers are right up there with the best, too. This is where the RS's 3kg weight reduction is noticed most. Elsewhere, the RS (or R as it used to be called), complete with its slick Ohlins multi-adjustable suspension and great balance is as good as it's ever been. 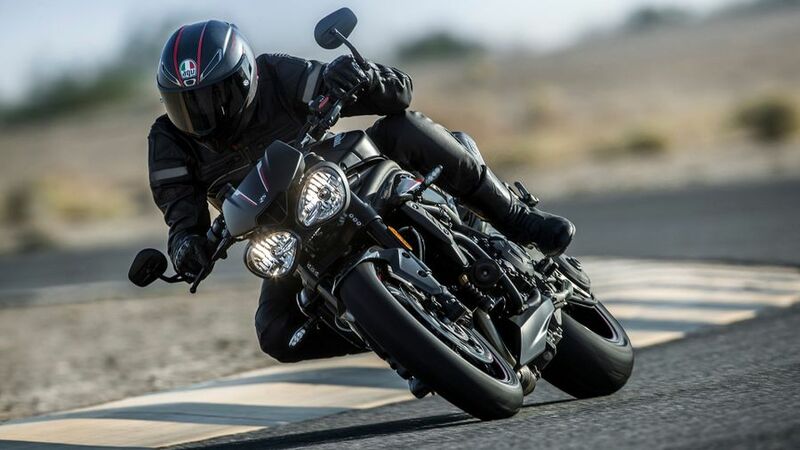 Triumph's traditionally handle well and the latest Speed Triple - with the possible exception of the lighter, smaller Street Triple RS - is pretty much the best of the bunch and also a brilliantly versatile balance between comfort, manouvrability and sporting sharpness. When Triumph relaunched in Hinckley in 1990 they deliberately set out to achieve a reputation for robust reliability and, though today's bikes are far removed from though early 'tanks', the legacy of one of solid, generally reliably machinery. The word from the trade is that 'Speedie's virtually never go wrong while finishes and cycle parts are better than most, too. True, the RS is a little more highly strung but we have little to fear here. 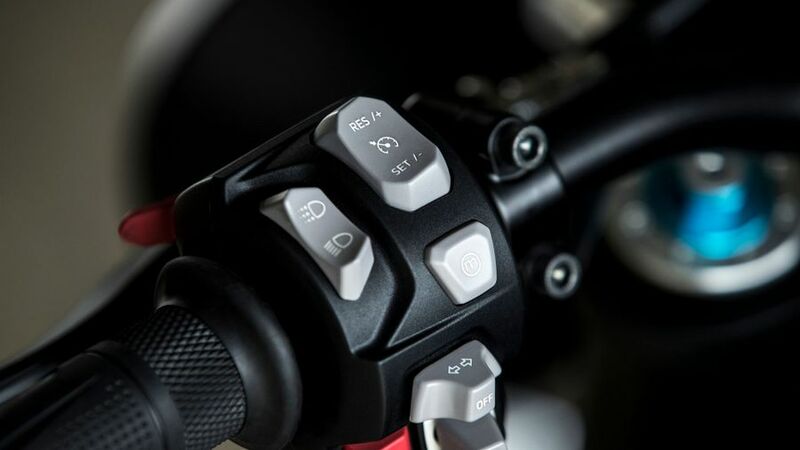 Although a significantly updated model, the latest Speed Triple RS remains based on the basic architecture of the old bike so its warranty and service schedule are unchanged. 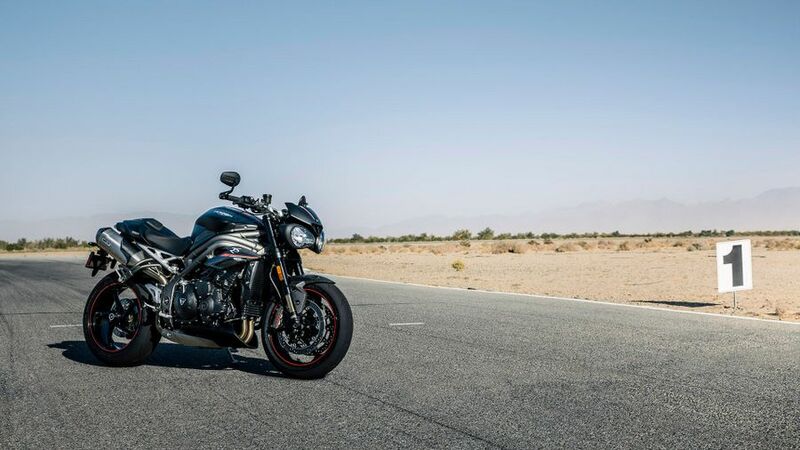 As such it has Triumph's (and the industry's) standard 24 month/unlimited mileage, manufacturer backed parts and labour warranty while the service intervals are unchanged from before, too, with minor service every 6000 miles and major ever 12K. This, along with the extra 10bhp from the revised engine, is where the new Speed Triple, especially in top spec RS form, shines most. While the standard S model also gets the uprated engine, new TFT screen and uprated electronics with associated updated switchgear, the RS goes further still. Its adoption of an IMU (inertial measurement unit) allows its cornering ABS, it also has Ohlins suspension, Arrow cans, five not four riding modes (the extra being a track setting) and carbon fibre bodywork, which part explains its 3kg weight loss. 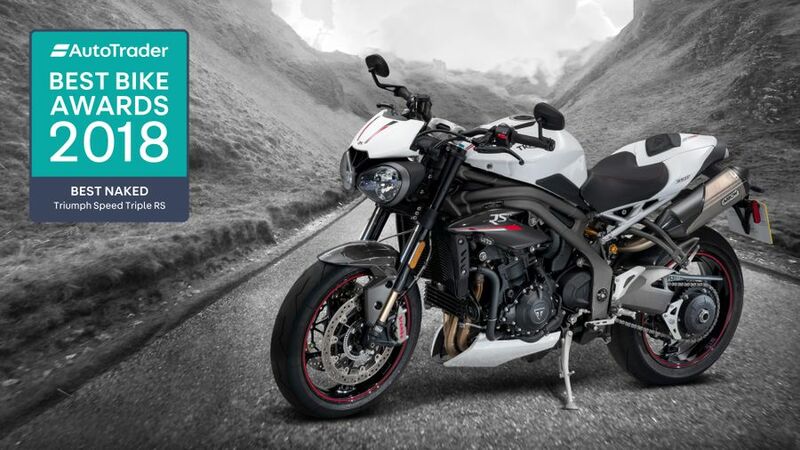 As Triumph themselves say, it's 'the most technologically advanced Speed Triple ever. The Speed Triple, certainly since the first 1050 in 2005, has always been the super naked you could buy with your head and heart - a thrilling, invigorating, characterful performance roadster with added real-world practicality and value. All of that is still true of the latest RS version, it's just that now, with 148bhp, it's lacking little in the performance stakes and, with all its new high-end goodies, wants for little by way of exotic spec, either. 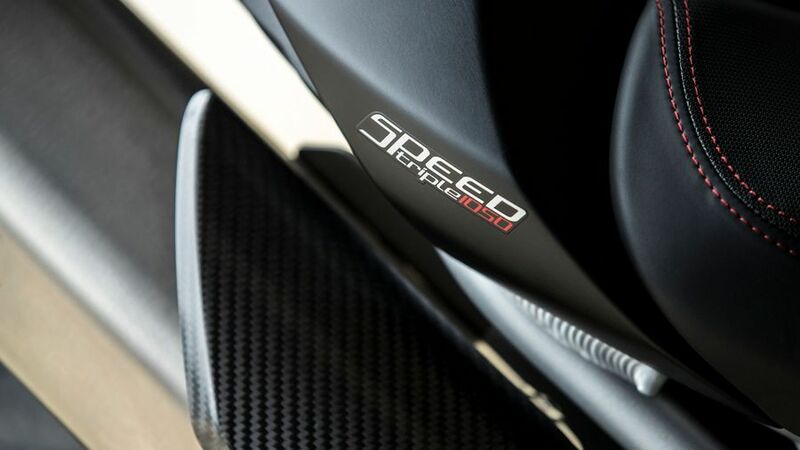 With this Speedie you really CAN have your cake and eat it.